In April of 2012, Dave and I had the most amazing dining experience at The Kitchin in Edinburgh. Tom Kitchin was awarded his Michelin star 6 months after opening his restaurant in Leith when he was only 29. He and his wife Michaela run an amazing restaurant with a fantastic team and his food and generous attitude encouraged me to buy his first recipe book, From Nature To Plate. It opens with a 28 page insightful introduction to his experiences as a chef and the journey he has traveled to get where he is today. His philosophy of nature to plate is one I can relate to and this makes the recipe book even more interesting to read. His first chapter is dedicated to spring and the new adventures it brings with it to his kitchen. From the 26 recipes in this section the first one I referred to was razor clams with chorizo and lemon as Dave and I bought razor clams to cook while we were in Scotland. We also bought langoustines and so I used his recipe for asparagus, smoked bacon and langoustines as a reference. The recipe book is divided into the four seasons and each opens with an explanation of what produce is available, what Tom uses and where he sources his produce from. Out of all the spring recipes I made eggs en cocotte. 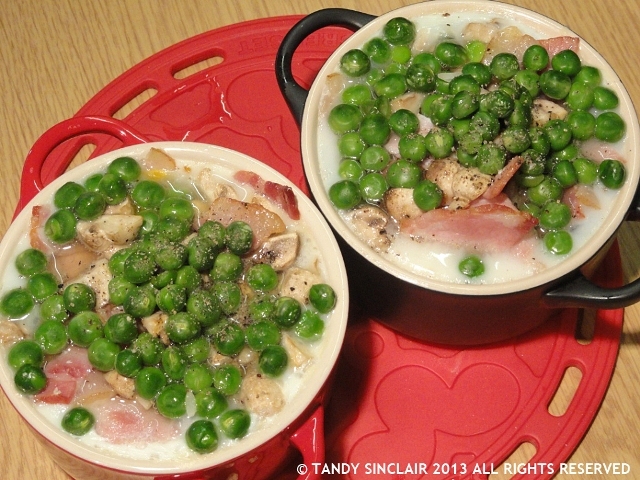 As broad beans were not available, I used fresh garden peas and the dish was very tasty. I had to double the cooking time however, which might have been due to the fact that I used my Le Creuset cocottes which are thick walled. 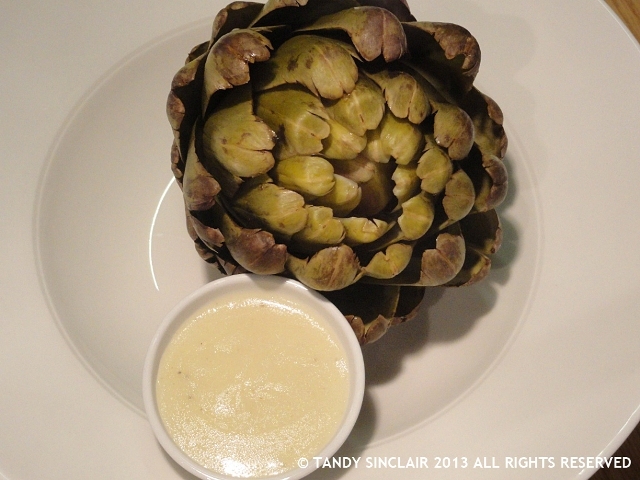 From the 32 summer recipes I made globe artichokes with the best ever vinaigrette I’ve tasted. I also made the honey parfait which was sublime and it was accompanied by pickled plums. 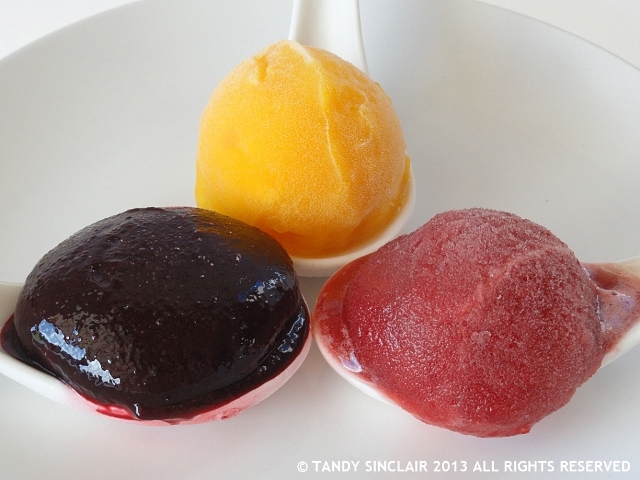 These got such a big thumbs up that I turned them into a sorbet. Autumn started on time with Easter ushering in cool mornings and evenings with the hint of winter as we had some early rain. 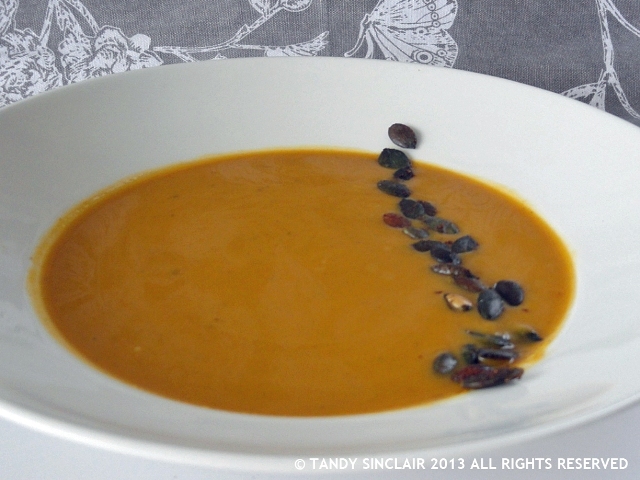 I sat down and read through the 29 recipes and I first made an adaptation of the roasted pumpkin soup and roasted pumpkin seeds before turning to a dessert. The roasted pumpkin seeds are addictive and make a really healthy snack. 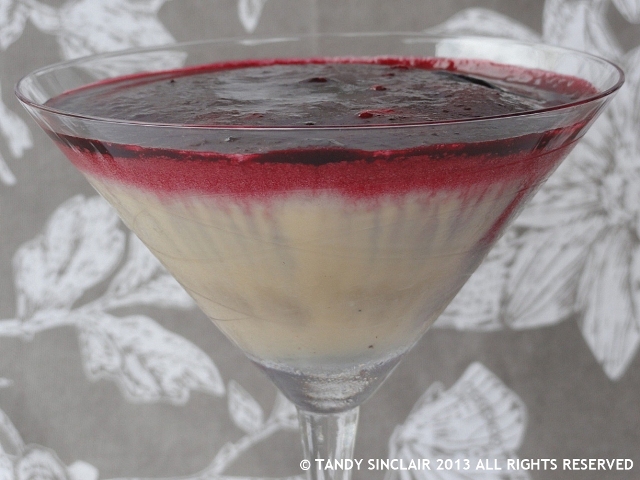 For dessert I made the pink peppercorn bavarois and I enjoyed the technical aspects of this dessert. Winter approached and on the coldest morning I decided to take oxtail out of the freezer and prepare it for the braised oxtail recipe. There are a few of the 25 recipes I want to try, and some I cannot as we don’t get a few things here in South Africa. The oxtail needed 24 hours of marinading and I cooked it on the hottest day in winter – it was 28°Celsius here. The dish was unctuous and so full of flavour and even though it could have served 4 as per the recipe book, Dave and I enjoyed the dish just the 2 of us. I can highly recommend this book as there is a wide variety of recipes to try, all of them restaurant quality! You will be able to easily make adaptations to suit the region you live in and the produce you can find. First published in Great Britain in 2009 by Weidenfeld & Nicolson. I want everything. You’re so creative and everything looks delicious. 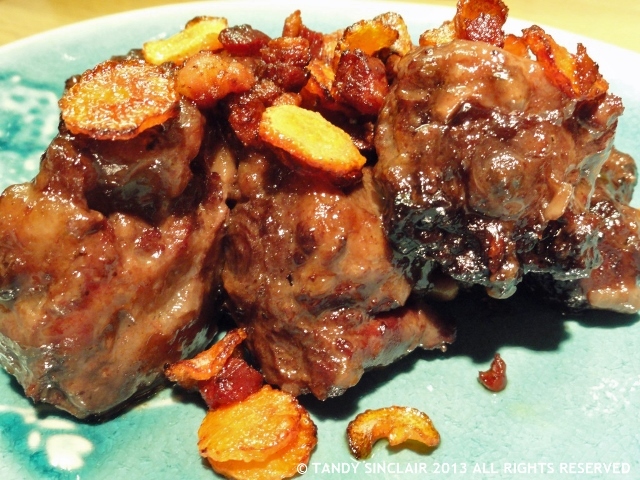 Hmmm, some homework needed – winter is over here Down Under bar the shouting, but I do have some beautiful oxtail looking at me from my freezer: so guess what the plan for lookups is 🙂 ? I can see why there’s such a fuss, looks amazing! Mmm sounds like a delicious experience! Oh what amazing looking dishes!!! I want to eat everything it all looks so lush!! Oh my goodness, these look so delicious! 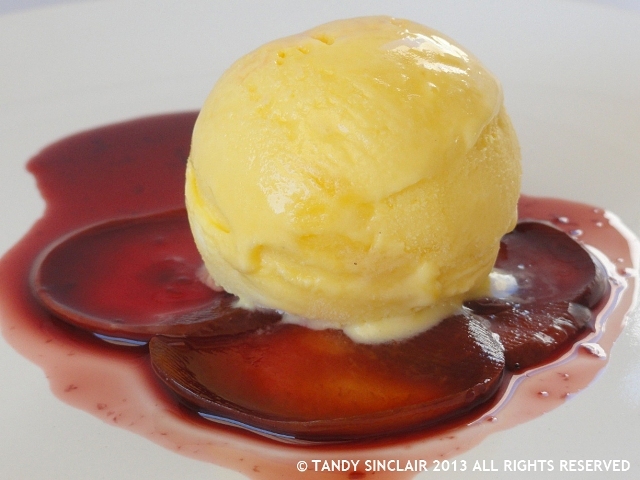 Those sorbet spoons are just sublime, the colour and texture, gorgeous. Thank you Sharon, each dish was amazing! Tandy, your narration is wonderful–now i have to get my sticky fingers on a copy! !